If you already use your conservatory room, you know how weather conditions and outdoor temperature affect the usability and ultimate comfort of the room. Most people complain that their conservatories are too cold during winter and too hot during summer; a room functionality challenge that can be addressed by installing the right solid conservatory roofs. A solid conservatory roof maintains a consistent temperature all year round to ensure that you enjoy the comfortable and quite living space you always wanted. But, it all starts with choosing the right conservatory roof installer. Here are 6 considerations you should make when choosing an installer. Is the solid conservatory roof for a new room or refurbishment? Solid conservatory roof systems are lightweight meaning that they can be used in both new and old conservatories that need transformation into spaces that can be used throughout the year. If you are building a new conservatory with a solid roof, you must work with an installer who can build the base, walls, fit the frames and install the solid roof effectively. 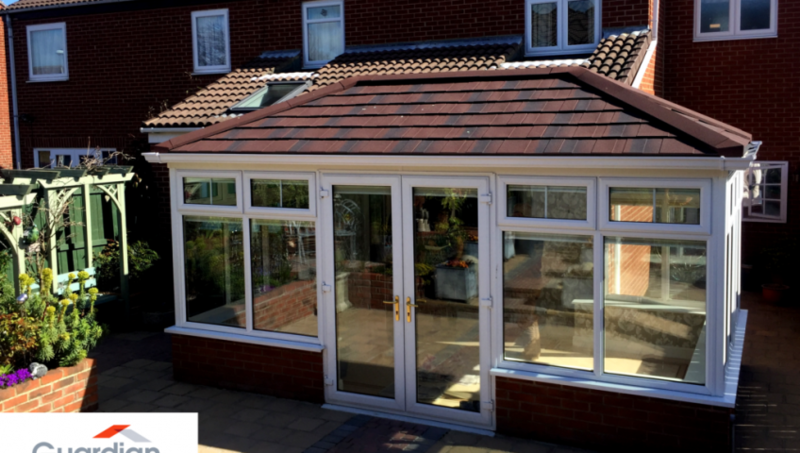 Conservatories with the solid, glazed or tiled roof are covered under the permitted development. As such, they do not require planning or building permit. Building regulations apply when you want to build a home extension that is not classified as a conservatory. Conservatories are separated from the main house with doors, windows or quality walls that meet the building regulations requirements. They must have independent heating systems and temperature controls. When these measures are not in place, the conservatory is classified as a building extension that must comply with building regulations. Is the installers’ workmanship certified? Unless a conservatory roofs installation company has registered with an accredited and government approved certification program, their work will not be assessed, verified or checked by a third party. This is where installation issues arise. Therefore, clients are advised to work with trusted and reliable installers with high workmanship standards as offered by Premier Roof Systems. What about energy efficiency and insulation? The conservatory roof lacks a thermal rating system. But you can use the U-values to determine insulation and energy efficiency. U-Value is the measurement of how effective a building material is at insulation. Thermal performance is measured through accessing heat loss and this is known as U-Value. A low U-Value depicts less heat loss and good thermal performance. Solid conservatory roofs have low U-Values of below 1.0w/m2k. Meaning that they retain heat during winter and keep cool during summer. Can your old conservatory frames hold a new roof? Solid conservatory roofs can be installed on old frames. However, your installer must examine the frames to ensure that they are strong enough to hold the solid roof for a number of years. Do you need windows and doors? Solid conservatory roofs boost energy efficiency. However, if the doors and windows are inefficient and old, you may enjoy the full benefits of having a solid roof. Premier Roof Systems’ conservatory roofing expert will visit your property to survey the conservatory for structural defects like leakages. All defects are noted and relevant measurements are taken so that an all-inclusive quotation is prepared. The expert will explain the step by step conservatory roofs installation procedure and answer any questions you may have. The value of a quotation is determined by the estimated time required to complete the new roof fitting, the amount and type of materials required. However, some clients may request to purchase the materials and only pay for the installation labour and time. Bottom line is that the materials should be durable and of high-quality. Before the solid conservatory roofs installation day, ensure that the room is clear of furniture and any other items including blinds. This allows the installers to sheet and protect their work area from the other part of the home. Ventilation provides the conservatory roof space to breathe in a bid to prevent the formation of condensation. Installers will drill air vents at the bottom edge of the conservatory roof and cap them to ensure that the holes are not visible. Battens are made of tanalised wood that prevents rotting and are spaced evenly to facilitate cross ventilation once the insulation is fixed; new roof opening vents can be incorporated at this stage. Pendant style lights or spot lighting cables can be installed if needed. They are installed by a qualified electrician. The insulation is carefully affixed to the battens as per the roof’s contours to ensure that the original shape is retained. The insulation layer is cross-battened again to provide a plasterboard framework and ensure that it is held in place firmly. Note that, different conservatory constructions and roof shapes require different installation methods and this requires a wealth of knowledge and experience. The final conservatory roofs installation step is skimming the boards with plaster. This offers a smooth finish that can easily be painted in the colour you choose. Despite your conservatory roofs installation needs, premier roof system will take you through every installation step and ensure that you get value for your money, the comfortable and relaxing conservatory room you have always dreamed of.